Parent-child relationships are 10 times more powerful than demographics in predicting whether children are on track to develop the character strengths they need to succeed. That is a key finding from Search Institute’s national study of more that 1,000 parents with children ages 3 to 13 titled Don’t Forget the Families. 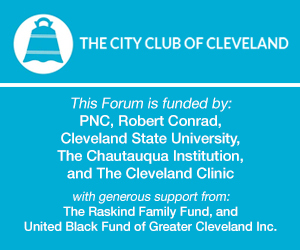 This is the final forum in the City Club's Resilient Families series, a conversation with Gene Roehlkepartain, Ph.D., Vice President of Research and Development at Search Institute, on the study’s major findings. He will also examine the nature of powerful positive child-parent relationships, and highlight critical shifts needed in to support all types of families in forming and sustaining the relationships young people need to grow up successfully.